The ICMJ Northern Conference event is being hosted by CQUniversity Australia and Teys Australia in Rockhampton from 25-27 April this year. 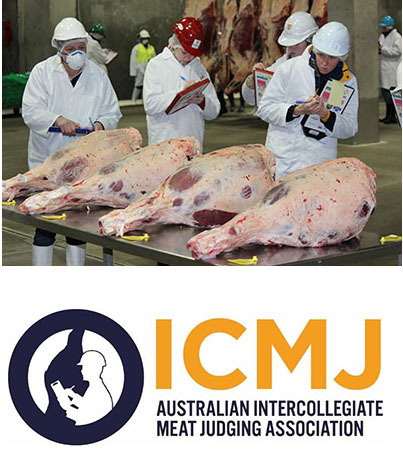 ICMJ Northern Conference coordinator, Ethan Mooney of Teys Australia said the new event had been created to cater especially to the needs of the northern beef industry, to attract skilled workers and equip them with a comprehensive knowledge of the factors influencing meat quality. Details are via Ethan Mooney ethanm@teysaust.com.au or Chloe Gould chloeg@teysaust.com.au. For companies wishing to sponsor the ICMJ Northern Conference or to have a stand at the Careers Expo, please also contact the Simon Kensit, simonkensit@gmail.com or 0419 299 807.